1. 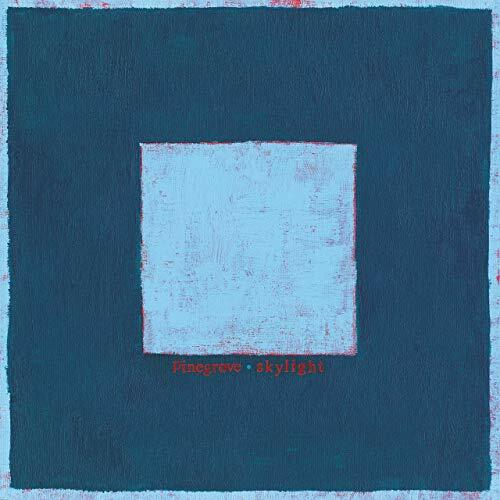 Pinegrove – Skylight I will leave the history alone. Google it for an interesting read. Emo is still alive and well on this official sophomore release. At times introspective, it’s a slow grind that builds to something big. I expect this record to stand the test of time. Best live show of the year – all due to the energy in the room. 2. White Denim – Performance Where have these guys been all my life? A non-stop assault of pure power-pop. Infectious grooves throughout – second best live show of the year as well. 3. 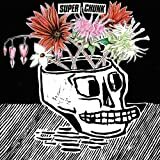 Superchunk – What A Time To Be Alive I could not agree more. Crunchy guitars, big power chords, all the things we’ve come to expect from Superchunk is there in all its glory. 4. Hop Along – Bark Your Head Off, Dog Melodic right from the first track. In a world full of singles, I find myself humming along to every song on this record. The strings add a really nice touch. 5. Wye Oak – The Louder I Call, The Faster It Runs Atmospheric, moody and hypnotic, it hooks you in right from the start. Their boldest album to date, Jenn Wasner’s ethereal voice is as haunting as ever. 6. 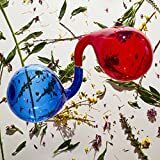 Dirty Projectors – Lamp Lit Prose Way more upbeat and groovier than anything else they have done previously. 7. 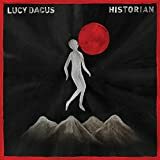 Lucy Dacus – Historian She is definitely on to something big – I can feel it. At times a whisper, other times orchestral, all done with her voice. 8. Jeff Tweedy – Warm A very apt title; you could call it a stripped-down Wilco. Very intimate, never straying far from center. 9. 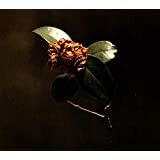 St. Paul & The Broken Bones – Young Sick Camellia Funky and upbeat, this is modern R&B at its best. 10. 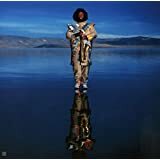 Kamasi Washington – Heaven And Earth Another powerful statement from this modern jazzman. Filled with energy, it just keeps moving forward. Elements of fusion and Latin keep the beats coming. 11. 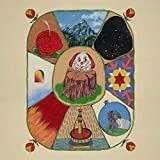 The Decemberists – I’ll Be Your Girl Heavy on the synths yet remains close to their signature sound. 12. 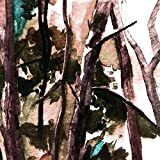 Yo La Tengo – There’s A Riot Going On Another solid release, although missing the big hooks and sense of urgency many previous Yo La Tengo records had. 13. Sloan – 12 Can you believe these guys have been around for 25 years? And still making the same, infectious power-pop. 14. The Sea & Cake – Any Day A nice return to form from one of my favorite Chicago indie rockers. Rinse and repeat pop – they really have it down to a science. 15. Parquet Courts – Wide Awake! Classic garage rock – it has a big bite, head bobbing grooves and hypnotic keyboards. 16. 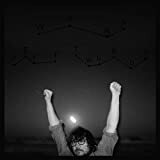 Ryley Walker – Deafman Glance I love the genre of “progressive folk”. It’s a slow grind that finds the payoff at the end. 17. Death Cab For Cutie – Thank You For Today Maybe not their best, but enough to keep me coming back. “Gold Rush” is a DCFC classic. 18. Richard Thompson – 13 Rivers Classic Richard Thompson work here. His band is as tight as ever, as is his stellar guitar work. 19. 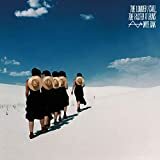 Calexico – The Thread That Keeps Us Solid Collection of new Calexico tracks with their signature sound. 20. Low – Double Negative Soundscapes, voice as an instrument, simple and complicated at the same time… Yup, sounds like a new Low record. 1. Neil Young – Roxy: Tonight’s The Night Live & Songs for Judy 2 amazing releases showcasing both sides of Neil. 2. The Beatles – White Album Wow. Where do I begin. Tons of never heard before versions of some of my favorite Beatles songs. 3. Joe Strummer – Joe Strummer 001 A nice collection of his non-Clash records. Often overlooked. 4. Jimi Hendrix – Electric Ladyland Deluxe Edition 50th Anniversary 50 years! And as fresh as ever. 5. Jerry Garcia – Before The Dead 4 disc set packed with blue grass and great finger picking. 6. Bob Dylan – More Blood, More Tracks: The Bootleg Series Vol. 14 So satisfying to hear different versions of my favorite Dylan record. 7. John Coltrane – Both Directions at Once: The Lost Album Still accessible, yet out there enough to keep you on the edge of what’s to come next. 8. Miles Davis / John Coltrane – The Final Tour: The Bootleg Series, Vol. 6 In a year of great reissues, this one might stand out as my favorite. 9. Badfinger – Wish You Were Here One of the most underrated bands of all-time (in my opinion). This release holds its own against any of their more radio friendly records. Peace and love. Peace. And. Love. Be the first to comment on "Eric Fine Poop 2018"